When packing is your business, it is vital to move with the times. 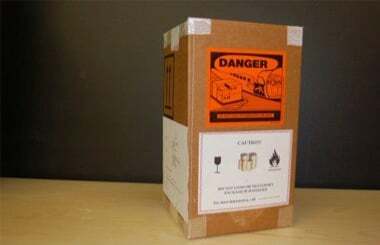 At P&M Packing, we make it our business to learn the very latest techniques, to understand the very latest technologies, to gain the very latest qualifications and thus to undertake some of the most state-of-the-art packing projects anywhere. You can read about it all here first. 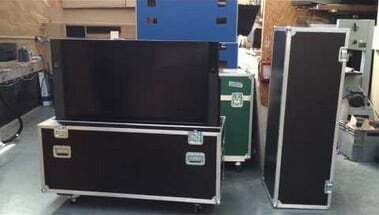 P&M Packing’s flight cases were chosen by David Gilmour, the Pink Floyd guitarist, to protect his equipment on his recent South American tour. At P&M Packing, we are always striving to make life – and especially business – as easy as possible for our clients. To this end, we have recently extended our range of payment options to include credit and debit cards. P&M Packing was recently asked to consult on the transportation of a foil for a hydrofoil from Dover to Australia. The foil was 4.5 metres long by 6.5 metres wide, and, after analysis, it was decided to manufacture a special base to ensure its stability in transit. P&M Packing has recently packed Skyfleet S570, the plane used in the 2006 film, Casino Royale. At 4 metres long, with a similar wingspan, the model needed careful handling and packing in bespoke bases and cradles for its transportation by road from the Beaulieu National Motor Museum to London. 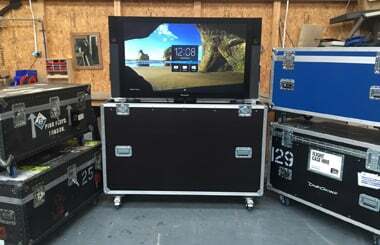 P&M Packing has recently fitted out two large flight cases as a mobile office and a mobile canteen for Ericsson Television to use when they arrive early at an exhibition site with few or no facilities.